Amy Sigil, director/choreographer of UNMATA and owner of Hot Pot Studios in Sacramento, CA, has been spreading her high octane performances and workshops around the globe. She likes her dance fasty and her music loudy. She is an athlete; a full force tough love dancer, with 110% heart for the game. Her workshops will make you sweat! 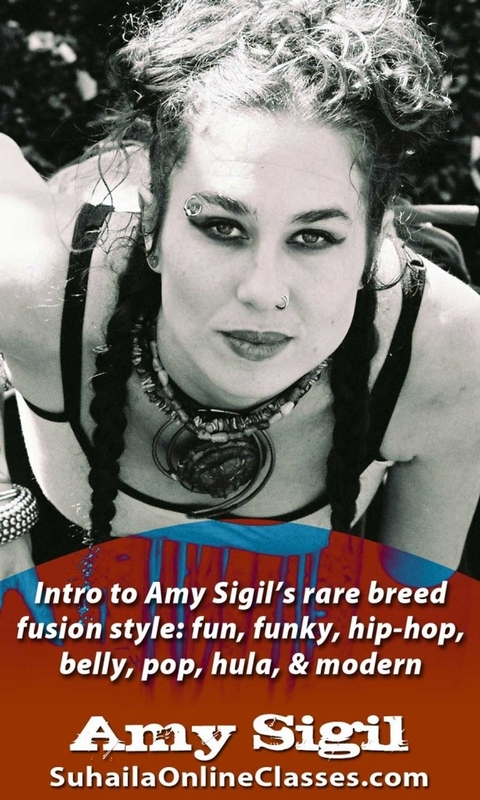 Influenced by her studies in Bellydance, American Tribal Style, Hula and Hip-Hop, Amy brings you. . . Sigil Style. . not just a dance style, a life style. This alternative belly dance class features continuous movement with a fusion of dance and music influences. Amy's modern day approach is accessible to all.